The Kondo Bedroom Collection intertwines traditional Japanese architecture with contemporary design, transforming any bedroom to an eastern paradise. Each piece invokes the look of a temple gate entrance using subtle angles that break from its horizontal planes. A beautiful Java finish brings out the natural beauty of the hardwood. 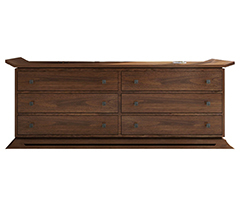 The collection is constructed from solid Mahogany and uses tenon joinery, making it an incredibly durable and reliable addition to your bedroom. With a variety of different bedroom pieces, the Kondo Collection can fulfill any bedroom storage needs while filling the space with modern beauty. 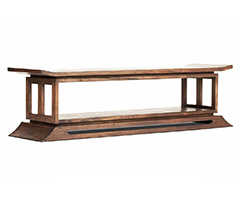 The Kondo TV Console is a beautiful way to display your LCD or plasma flat screen TV with Japanese flair. 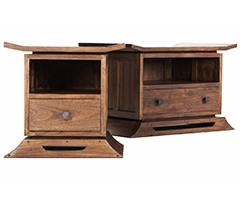 The four drawers each fitted with black brass hardware are ideal for storing remote controls, magazines and game consoles. Two large shelves (16" wide) can accommodate DVD players and cable boxes and your DVD's can tuck away in the four cubical shelves or drawers. 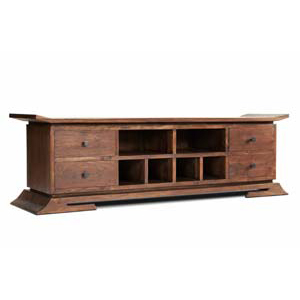 Just imagine your new flat screen TV displayed on this handmade Japanese style Mahogany TV Console. 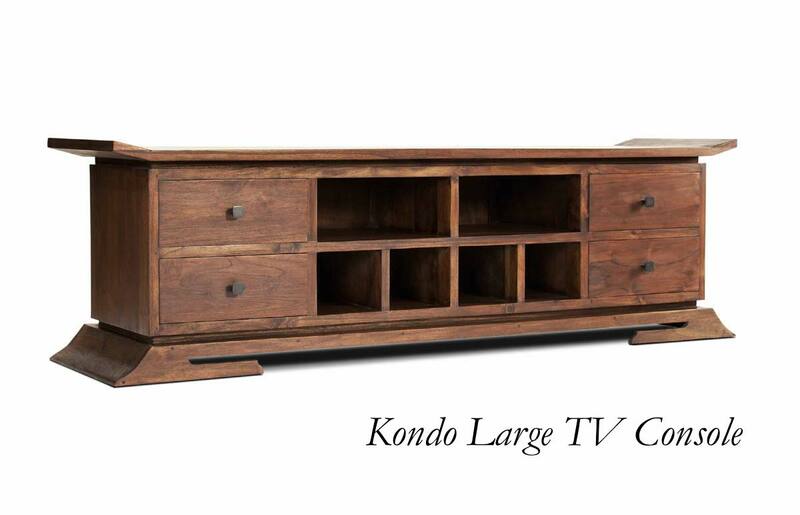 We just received our Kondo TV console and have to say we were more than pleased. 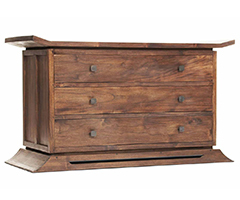 The console is extremely well made and the fit and finish far exceeds the price. 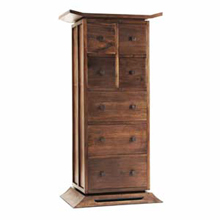 Ordering furniture online was a new experience for us so customer care was very important. Spectacular customer service and delivery made the transaction easy and worry free. Thanks to the fine folks at Tansu. We highly recommend this product, service and company!